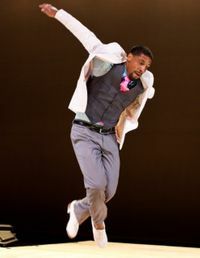 Join us every Thursday at the National Museum of Dance's School of the Arts for Tap classes with the World Renowned Jason Samuels Smith. The class features a rotating roster of exciting teachers. Intermediate/Advanced 7-8pm Advanced Beginner 8-9pm Register Now! Call 518-584-2225 ext 3008, go online at dancemuseum.org, or stop in and see us at 99 S. Broadway, Saratoga Springs, NY.